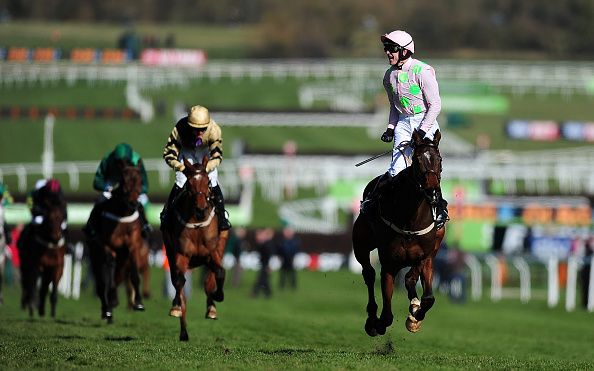 For once, the Festival started poorly for Willie Mullins and Ruby Walsh, who were both winless after the first two days. However, four winners on Thursday, all trained by Mullins, were enough to give Ruby Walsh his fifth jockeys’ title in a row. Willie Mullins saddled two more winners on Friday, for a total of six, but was pipped at the post by Co. Meath trainer Gordon Elliot, who lifted his first leading trainer award. All in all, Irish-trained horses won 19 out of the 28 races run during the four days. Notable winners during the week included Buveur D’air in the Champion Hurdle, Special Tiara in the Queen Mother Champion Chase, Fayonagh (Elliot) in the Champion Bumper, Nichols Canyon (Mullins) in the World Hurdle and Sizing John in the Cheltenham Gold Cup. Labaik, who virtually refused to race in his last race before the Festival and his next race afterwards, set the tone for the week, quickening clear to win the opening Supreme Novices’ Hurdle at odds of 25/1 for Gordon Elliot and Jack Kennedy. The 3/1 favourite, Melon, trained by Willie Mullins and ridden by Ruby Walsh, could only finish second, in the first of several notable reverses during the week.